You’ve seen the cover. Now’s your chance to read the book. 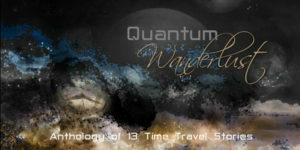 Thirteen unique time travel stories gathered together into one anthology, and it’s yours… FREE! • Seek medical help for a memory issue and get way more than bargained for. • Discover that with great power comes great responsibility. • Uncover the secrets of a pharaoh’s tomb and curse. Do the characters observe or interact? Is the outcome better or worse than the original timeline? Read these stories to learn how far they go, how they get there, and what happens when they return. The scope is virtually limitless, definitely timeless. 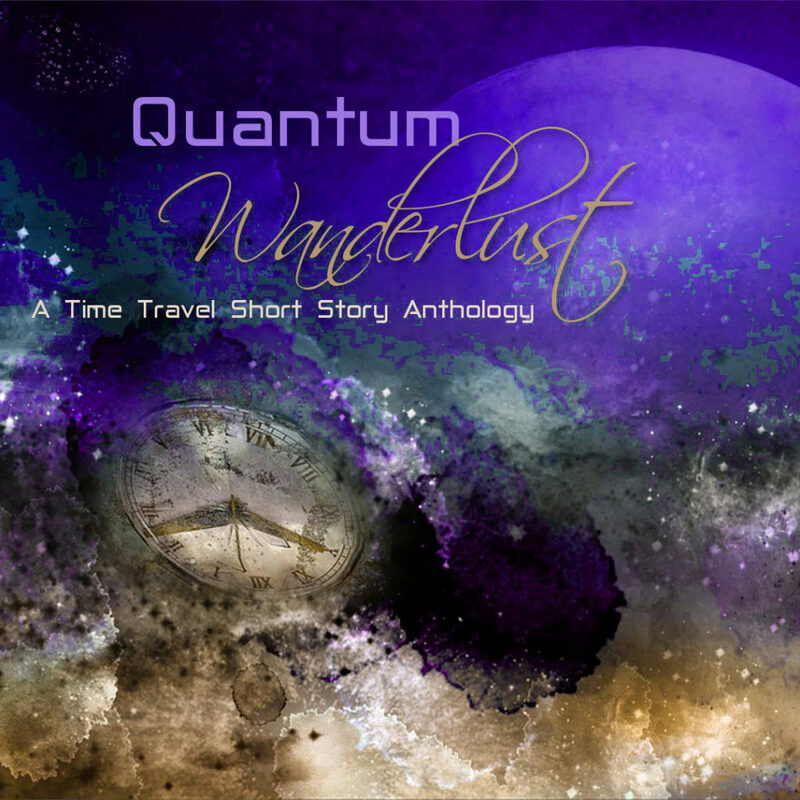 To get your copy of Quantum Wanderlust: A Time Travel Short Story Anthology, click on the universal purchase link. AIW Press is excited to announce the release of it’s newest anthology. Ten talented authors have come together in a spooky, suspenseful, and even terrifying combination of stories that are perfect for your horror film and ghost story lovers. Set in various different places and in some instances different time periods, you will feel like you are sitting around a campfire telling ghost stories – but these aren’t your average vampire tales! 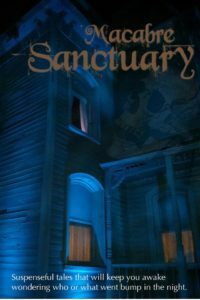 Be prepared to read about things that go bump in the night in Macabre Sanctuary, just in time for Halloween! Thrills. Chills. Shadows and superstitions. Things that go bump in the night. 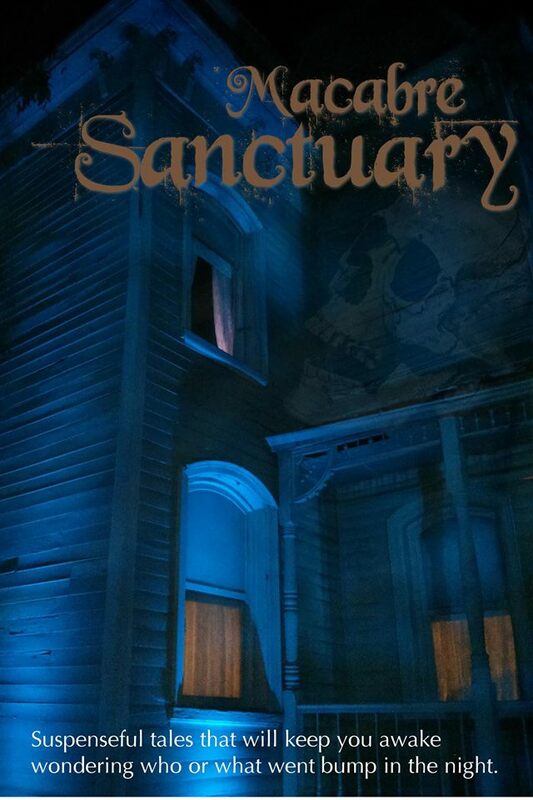 Macabre Sanctuary boasts suspenseful fiction designed to elicit goosebumps and raise heartrates. Learn the lore of a haunted island. Grapple with the undead while robbing graves Halloween night. Endure a hazing ritual unlike any other. Deal with a demon at an All Souls’ Day celebration. See what happens when you court death in the wild. Battle zombies and cannibals in a quest to stay alive. Travel back in time to witness the birth of true evil. Fear prophetic nightmares made manifest. Come to terms with new ethereal realities. Befriend a feline to extend earthly life. This collection from ten talented authors offers ghosts and demons, spirits and zombies, cannibals and killers… even a ferocious animal. Historical and contemporary tales of violence and fright keep readers on the edges of their seats. There’s something for everyone who loves spine-tingling, bone-chilling, blood-curdling stories. AIW Press is proud to announce the western of the 21st century. Nine talented authors seamlessly blend the enormity of the vast open prairie and imposing mountain ranges of the old west with the fresh perspectives of modern technologies and problems—and melds them into a new version of a western. These stories are set west of the Mississippi, but don’t expect gunslingers and duels at High Noon. These stories are more sophisticated, more subtle, more thought-provoking. Feel the pain of a young Japanese girl who comes home from an internment camp after World War II and learns it’s easier to go with the flow than to fight the current. Struggle with an expectant mother on the cold winter prairie while she waits for her husband to come home from a hunting trip. Journey with a young woman to the Four Corners as she tries to connect with her Navajo ancestors. Try not to believe in the superstition of the blue moon—if one dies, three more will follow. Know that one way or another, life will change inalterably that day. Walk in the footsteps of an old cowpoke who thought he made the deal of a lifetime. Suffer the torments of a young lady who wants desperately to marry but seems destined never to wed. 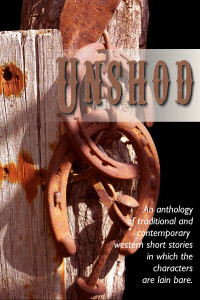 Walk the wild western paths and run from unimaginable dangers. Choose between an unhappy life of luxury or a happy life of simplicity. Nine female authors pen western tales that you’ll want to retell around a campfire. These aren’t your granddaddy’s westerns. They’re the next generation’s, and they’re darn good. 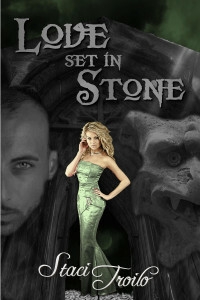 AIW Press is proud to announce it’s latest release, a paranormal romance, Love Set in Stone, by Staci Troilo. Damien was a loyal warrior, killed in battle in 1203. Because of his true heart, he was given the option to pass on to his eternal reward or exist in another state of being as a protector… until the time came when he could resume living the life he’d been cheated of. A soldier by nature, he chose the latter. Then he waited centuries—as a gargoyle—growing increasingly bitter about his choice. Then he sees her. Rina is a hard worker and loyal friend. She just has the worst luck. One night, after saving her best friend from a violent assault, she finds herself at the attacker’s mercy. Then, out of nowhere, a savior comes and rescues her. With only an angel to guide him, Damien must make the right choices to win Rina’s heart, or be forever damned as a grotesque mockery of the guardian he once was. Staci Troilo is a native Western Pennsylvanian who currently lives in Northwestern Arkansas. She writes multi-genre fiction focusing on flawed relationships. Her stand-alone titles and series span the mystery, contemporary, and romance genres and many of their subgenres, including suspense, paranormal, and medical dramas. Her short fiction has won many regional awards. For more information about Staci, visit her website: http://stacitroilo.com. AIW Press, LLC is proud to announce its first release, the romance novella, Laci and Del: 12 Months, 12 Chances. It’s been a year, and Laci Marks still hasn’t gotten over her break up with Del Keegan. She attends a New Year’s Eve party hoping to snap out of her ever-present funk, but the frivolity only upsets her more. Unable to navigate the crowd and retreat to the sanctuary of home, she slips out onto the balcony to avoid watching all the couples kiss when the ball drops. But her private moment is ruined by someone joining her outside—Del. Laci wants nothing more than to escape, but Del has other things in mind. Soft words and softer lips convince her to stay. And to try again. Thus begins a tumultuous twelve months of love and laughter, fear and failure. They still have the passion, but they also still have all the same problems. Twelve months from their reconciliation, and nothing is resolved. If anything, Laci feels worse than ever. How many chances can she give their relationship before just giving up? And how many chances is Del willing to take on her? This novella is a series of twelve vignettes, one a month, until the story reaches its conclusion. There is also a bonus installment at the end. Get our posts delivered to your inbox. Join our newsletter for our updates.